South African Mount Everest Expedition 2015. The supporting members are myself and Pierre Jonker. We met at the Edge offices in Jhb and everyone was formally introduced to each other, well, those of us who did not know each other! Most had spent time together on mountains around the world already. Sean took the team through all aspects of the planned trip, including logistics, the itinerary, acclimatisation, what to expect on the mountain, timings, etc. 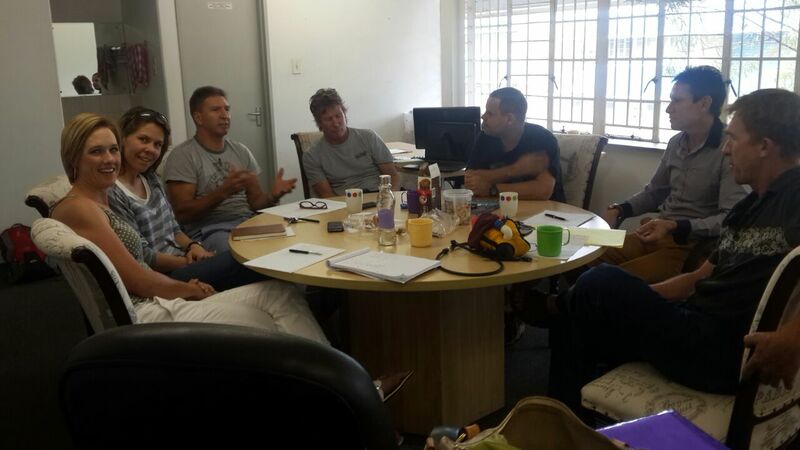 A productive meeting and interesting to understand what goes in to embarking on such an adventure. Key was training, and Sean stressed the importance for every climber to be well in to their training regime! Everest, and those mountains over 8000 meters, are not to be taken lightly. Going in unprepared, both physically and mentally, can only lead to disaster, even death. What appealed to me was the “normality” of these climbers! One would expect macho strongmen and women out to conquer the world; ego’s and self importance to match celebrities! No, not at all and it was a pleasure to be associated with the team. We ended the meeting, with notes on what to prepare for, kitting lists and for the climbers, an instruction to get fit! We would meet again early in 2015 for the pre departure packing, and final brief. I came across a very interesting site on Mount Everest and have included it below. Check out the video on the route to the top from the Nepalese side. Drama for the SA Team! Andre Grobler on Avalanche at base camp!